2016 was a phenomenal year for property sales, with market activity at pre-recession levels; closing dates the norm rather than the exception, and excellent prices being achieved if the property is well presented. We actually ended 2016 in a situation where there are not enough properties coming on the market to cope with the demand. This trend continued in early 2017. No upfront marketing outlays until the property is sold! Yes, that’s NO upfront marketing outlays until the property is sold so that means there is nothing AT ALL to pay until your property has sold! If you take advantage of this promotion, which is only available until 31st March 2017, you can receive our professional photography package with no upfront charges and we will also include a free video slideshow of your property which will display on the ESPC and Zoopla portals as well as www.neilsons.co.uk. 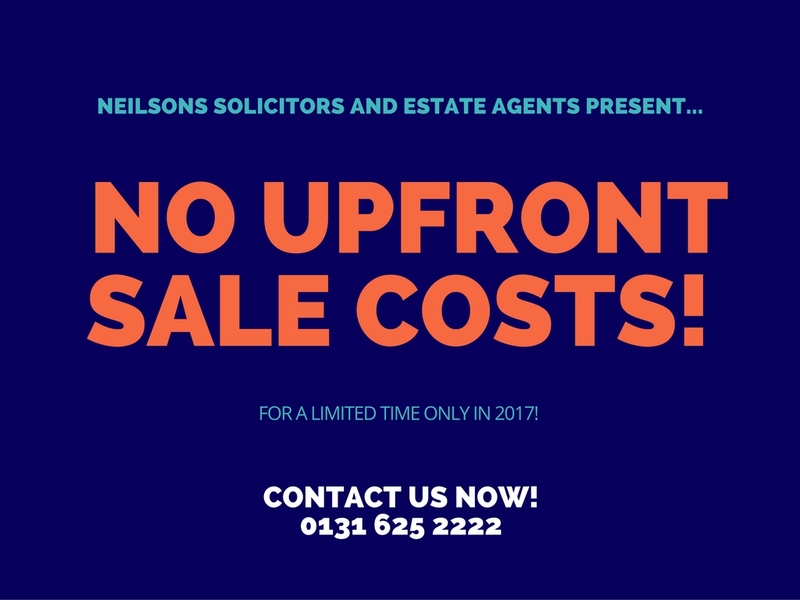 Not only that but you will also benefit from all the other features available to Neilsons clients such as 24/7 access to your unique client portal which keeps you up to date with the progress of your sale marketing. This is included in our package at no cost to you. Click here for full details of this amazing facility. Get your property on the market with Neilsons before 31st March 2017 to benefit from the pent up demand in the property market and take advantage of our 2017 property sales promotion. For more information, contact our Property Department on 0131 625 2222 or email propertyservices@neilsons.co.uk and book your free pre-sale appraisal today.